Profile shot of the G-5. The two engines sit at the bow and ammunition storage is tucked behind the bridge where the turret is. The G-5 basically has no armour in its overall design, to the point where the only armour that lights up in the armour-viewer is the armoured glass at the bridge, an astounding 5 mm of it. As such, any small arms armament can penetration and cripple the modules and the crew members. The G-5 carries a complement of six crew members. With its small size, the G-5 is fast and manoeuvrable with the potential of reaching up to speeds of 133 km/h in ~15 seconds. Reverse speed can reach an impressive 62 km/h. The only gun on the G-5 is a single 12.7 mm DShK machine gun. It can destroy any motor torpedo boats and some larger boats if your lucky. Being located in the centre of the vessel it does have 360 degrees of aiming but is somewhat restricted in elevation when pointed towards the bow due to structural designs meaning it can only be reliably fired at other vessels when aimed at the sides or rear of the ship. You can research two different ammo belts for the 12.7 mm, the high explosive incendiary (HEI) and armour piercing incendiary tracer (APIT) rounds. 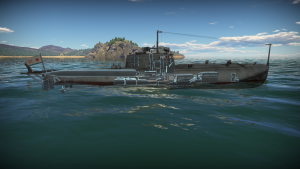 The G-5 carries two 533 mm 53-38 torpedoes. They have a range of 4 km at a speed of 82 km/h. With the Torpedo Mode module installed, they can reach 10 km at a reduced speed of 75 km/h. 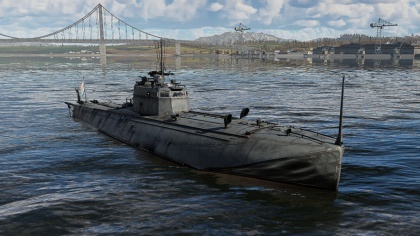 As both torpedoes sit in the aft pointing towards the bow, they are accurate and easy to aim with. 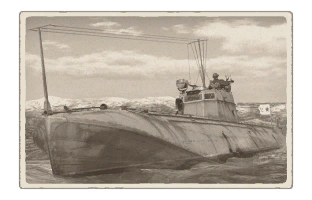 As with any motor torpedo boat, it is best to keep moving since a few good shots from other boats can take you out. While the 12.7 mm mount is flexible for a 360 degree traverse, its elevation is restricted in front due to structure obstructions. As such, the 12.7 mm can only effectively fire from the sides and stern of the boat. Because of this, it's generally a good idea to avoid direct confrontations. That said, the G-5 is one of the fastest vessels in the game, almost twice as fast as other vessels similar in it's class. As such it is best utilised to capture points early, providing cover to allies with smokescreen, and sneaking around enemies and ambushing them with hit-and-run tactics with it's slightly faster and accurate torpedoes.